President Donald Trump is reportedly planning to name DOJ veteran Pat Cipollone to replace Don McGahn as White House counsel. Cipollone’s legal background and relationship with Trump’s legal team suggests he will take a more combative approach toward the special counsel Robert Mueller and the Russia probe than his predecessor did. Cipollone could also help gird the White House in the event of a Democratic takeover of the House of Representatives following the upcoming November midterm elections. 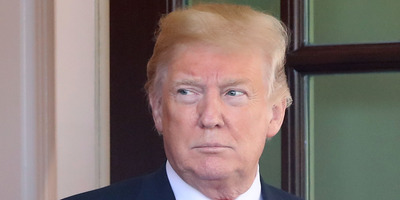 President Donald Trump will likely name Justice Department veteran Pat Cipollone to replace the outgoing White House counsel Don McGahn, according to multiple media reports. Speculation that Trump would tap Cipollone for the position picked up steam over the summer, when McGahn’s departure was first announced. Cipollone currently practices at the Washington DC-based law firm Stein Mitchell Cipollone Beato & Missner. His biography on the firm’s website states that Cipollone has “substantial expertise” in defamation counseling and defending corporations, organisations, and public figures, including prepublication negotiations and litigation with major media organisations. He has additional experience working on cases involving regulatory disputes, crisis management, consumer fraud, constitutional issues, and government scrutiny. A source close to Trump’s legal team, which is managing his and the White House’s response to the special counsel Robert Mueller’s Russia investigation, told Business Insider that Cipollone has closely advised the president’s lawyers in recent months. He is also reportedly chummy with Emmet Flood, a White House lawyer and veteran attorney who represented President Bill Clinton during his impeachment proceedings in the 1990s. Cipollone’s legal background and relationship with Trump’s team suggests he will take a more combative approach toward Mueller than his predecessor did. McGahn’s is the latest in a long string of departures from the White House counsel’s office over the last several months. The Washington Post reported that the office normally has a staff of 50 lawyers, but it had 35 earlier this year and is now down to just 25. It has also lost four of its five key deputies in recent months, the report said. McGahn is a critical figure in the ongoing Russia investigation, particularly as it relates to Mueller’s inquiry into whether Trump sought to obstruct justice at various points throughout the investigation. He frequently clashed with Ty Cobb, the former White House counsel, about how much to cooperate with Mueller’s document and witness requests because he reportedly believed that Trump would be able to assert executive privilege over many of their interactions. But earlier this year, it emerged that McGahn voluntarily sat down for 30 hours of questioning with Mueller’s team that spanned over several months. It is unusual for a lawyer to share as much information with prosecutors investigating their client as McGahn did with Mueller’s team. But one person familiar with the matter told The New York Times that Trump wrongly believed McGahn would act as his personal lawyer when interviewing with Mueller and would therefore protect his interests at all costs. Instead, McGahn is believed to have given Mueller critical details about Trump’s attempts to assert control over the Russia probe. His resolve was bolstered by his belief that Trump had willingly made him available for an interview with Mueller because he was trying to trap McGahn into taking the fall for him. For that reason, McGahn and his lawyer devised their own plan to cooperate as much as possible with the special counsel, The Times reported. Trump pushed back on The Times’ article and took issue with the implication that McGahn may have turned on him. Nonetheless, McGahn’s departure was announced shortly after. Cipollone’s new reported position as White House counsel comes during a critical time for the president. Trump’s legal team has been engaged in a protracted back-and-forth with Mueller over the terms of a presidential interview. Earlier this week, CNNreported that Trump’s lawyers are in the process of providing written answers to several questions from prosecutors about potential collusion between the Trump campaign and Russia during the 2016 election. The report said Mueller insisted on being allowed to ask follow-ups after getting the answers to the first round of questions. The two sides have still not reached an agreement on whether Mueller’s team will get to interview Trump in person. Cipollone could also help gird the White House for a potential Democratic takeover of the House of Representatives following the upcoming November midterm elections. If the party gains control of the lower chamber of Congress, several Democratic lawmakers have said they plan to subpoena as many documents and witnesses from the White House as they can.